We have taken the opportunity to design in more strength, more performance and better ergonomics making the Timberwolf TW 230VTR, bigger, stronger and faster than anything else available in its class. 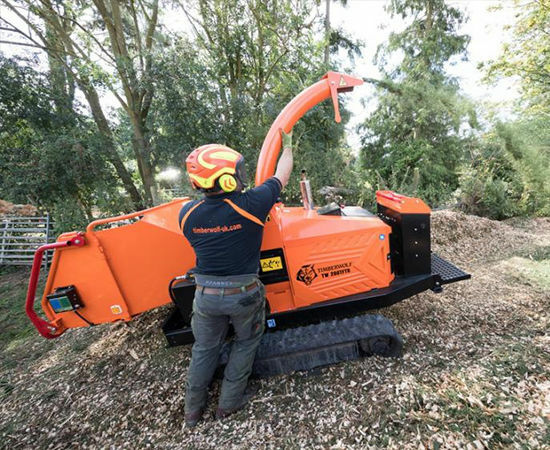 This chipper is a contractor’s dream and can do it all, whether it’s chipping or tracking to site, the machine is ruthlessly eﬃcient at getting the job done. 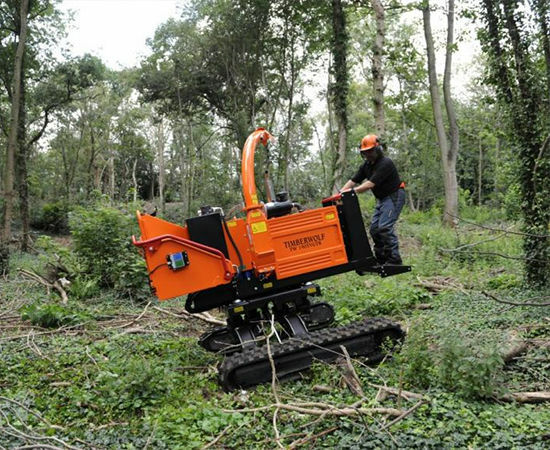 Large tracks and powerful track motors get this chipper into the most remote locations. 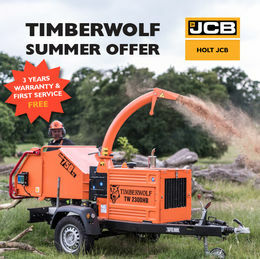 Add to this performance the competitive price and this all-round chipper will work hard for your business year after year making the TW 230VTR a wise investment for your business. With the ability to move the tracks in and out, raise the height of the machine oﬀ the ground and alter the angle at which it sits, tackling diﬃcult ground conditions becomes easy. 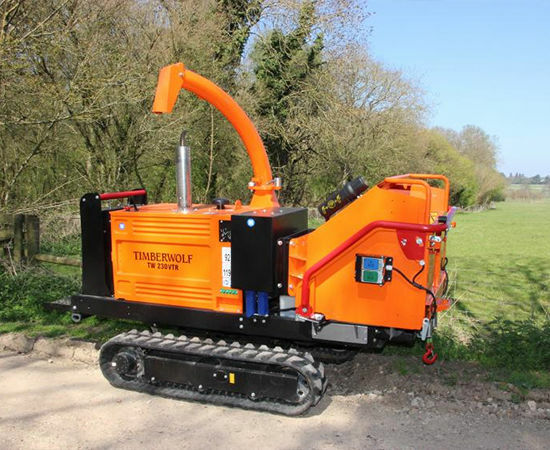 The Wolftrack® system features heavy-duty twin arms supporting each track, with dynamic control over track width, ground clearance and machine tilt angle, giving you superior strength and performance over alternative systems.